Not everyone is born with a straight and perfectly aligned smile. That’s why we offer comprehensive cosmetic dentistry as well as orthodontic care. Our Woodinville, WA dentist will work with you to make sure your smile is straight and healthy. Overbites are a common dental alignment issue that many people experience. Overjets are also common, though they are too often confused for overbites. Let’s take a moment to compare and contrast these malocclusion issues, describing the differences and the ideal options for treatment. An overbite refers to the forward/outward projection of the upper row of teeth over the lower row of teeth. A slight overbite is general considered ideal dental alignment, but a pronounced or extreme overbite is usually a problem. A pronounced overbite can leave a person feeling self-conscious about the appearance of their smile. This can result in a buck-toothed appearance, which can contribute to feelings of self-consciousness and low self-esteem. An overbite can also impact dental health, leading too pain while biting or chewing and an increased risk of teeth grinding (bruxism) and TMJ disorders (TMD). 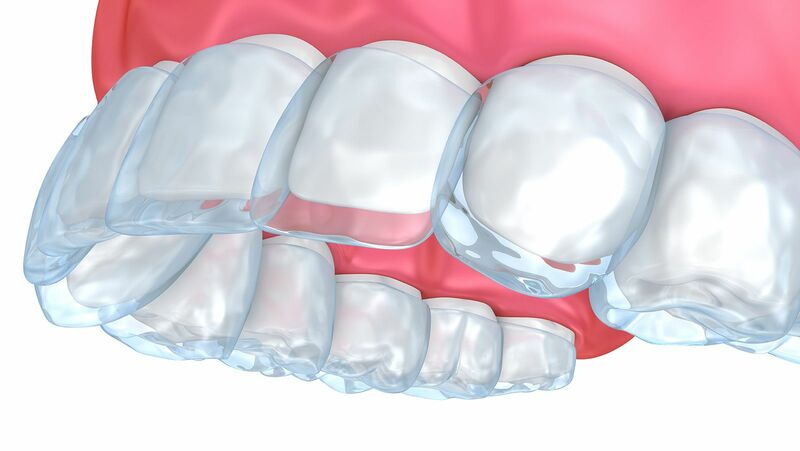 To treat an overbite, orthodontic procedures are most common. This could mean braces, the use of palatal spacers, and other types of appliances. In some situations, oral surgery may be recommended to alter the shape of the upper dental arch or fix the position of the lower jaw. An overjet is often conflated with overbites, but it is a different problem entirely. An overjet occurs when the upper teeth cover up the lower teeth. As with an overbite, a slight overjet is health, but a pronounced overjet means that the upper teeth cover up half or more than half of the lower set of teeth. From a cosmetic perspective, an overjet exacerbates issues of with buck-toothed smiles. It can make issues with an overbite more glaring, resulting in serious issues with self-consciousness and self-esteem. Overjets can also lead to pain and discomfort when biting and chewing, and greater risk of bruxism and TMD. Like overbites, the ideal treatment option for an overjet tends to be orthodontic care. This may involve braces and palatal spacers, as well as other kinds of appliances. For major overjet issues, oral surgery may be a good option to help correct the shape of the palate and improve jaw position. It’s important that you come in for a consultation at our practice to have these issues addressed directly. We can take dental x-rays and run various kinds of checks to make sure you get the treatment you need to enhance the alignment of your smile and your overall dental health. During your visit, we can answer your questions and discuss financing and payment options to put this needed dental care within reach. For more information on treating malocclusion and improving your overall dental health, be sure to contact an experienced cosmetic and restorative dentist. We look forward to your visit and discussing these matters in much greater detail at the office.